It’s my favorite time of year again…Halloween!!! Ok, ok, it’s a tad bit early but since this project requires quite a bit of animal eyes, I thought I would post it now so that you’ll have plenty of time to stock up. 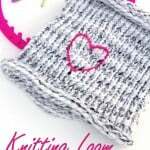 I got mine through Consumer Crafts (original tutorial) but I’ve also seen bulk listings on Ebay and of course, you could always go slow and buy individual bags with a 40% off coupon at your local craft store. This post may contain affiliate links for your convenience and to assist in the maintenance of this site. 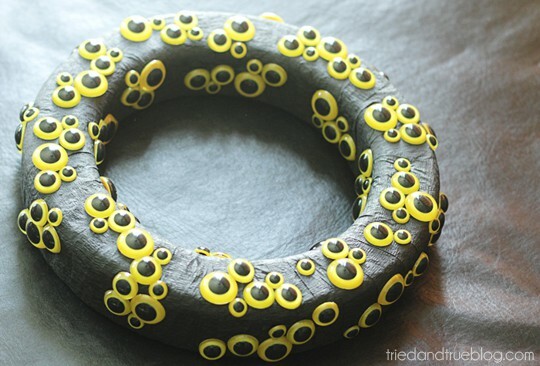 Need a fun, minimal wreath for Halloween? 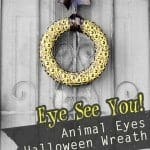 Then the Animal Eyes Halloween Wreath is just for you! 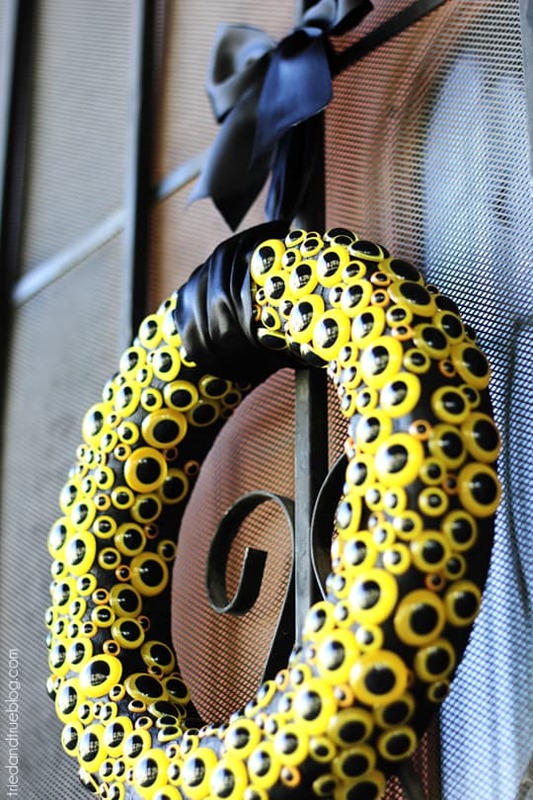 From a distance your guest will just assume you have a yellow wreath hanging on your door. 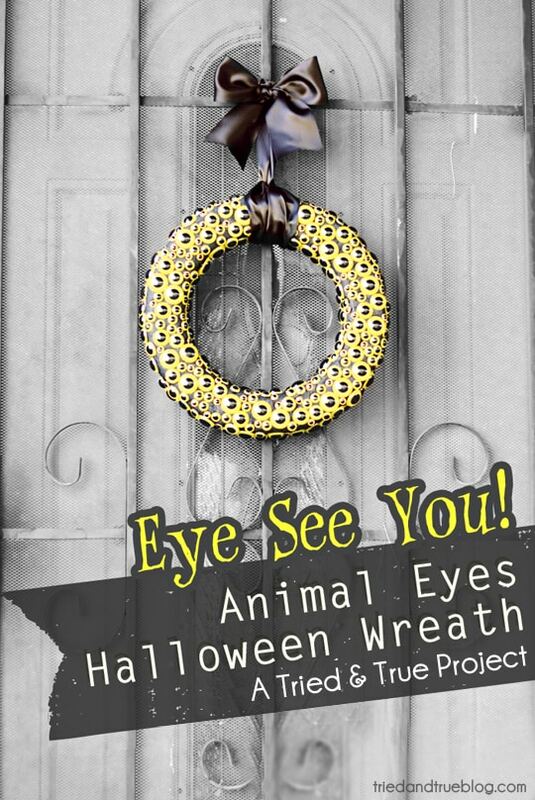 It won’t be until they get closer that they’ll realize it’s a wreath made entirely from animal eyes. 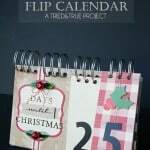 This is a pretty straightforward and easy project. Punching the eyes into the Styrofoam is a bit time consuming but I think the final product really comes together nicely. I didn’t have to use any adhesive to keep the eyes in place. You can always add some glue to the base before sticking in the eyes if you find it necessary. 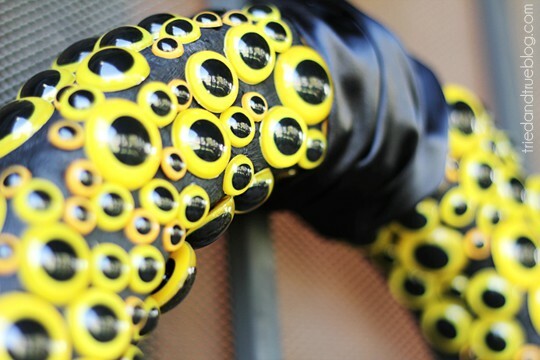 The animal eyes can become a bit pricey with the amount needed for this project, so keep an eye out (hah, pun intended!) for coupons and deals! Instructions: 1. 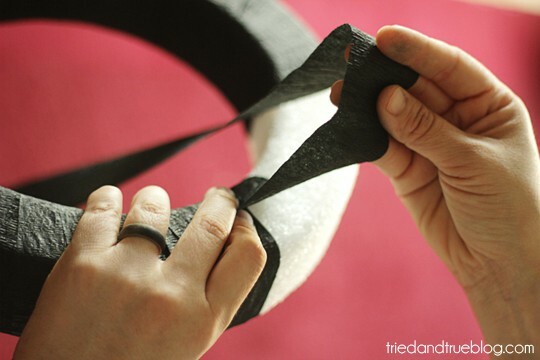 Begin by wrapping the entire wreath in black crepe paper. Tape down end on the back of the wreath once completely covered. 2. 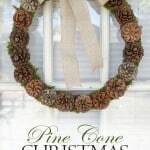 Beginning with the largest size, begin to push the eye posts into the wreath. Continue with each size of eyes you have. 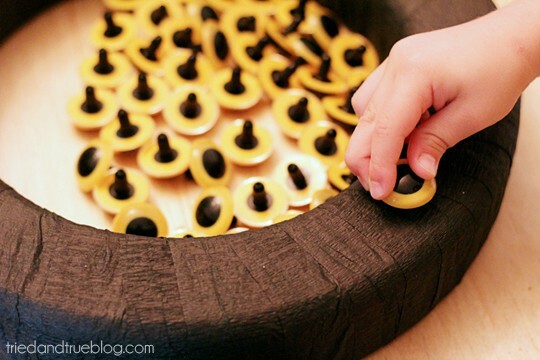 Kids can totally help with this step! 3. 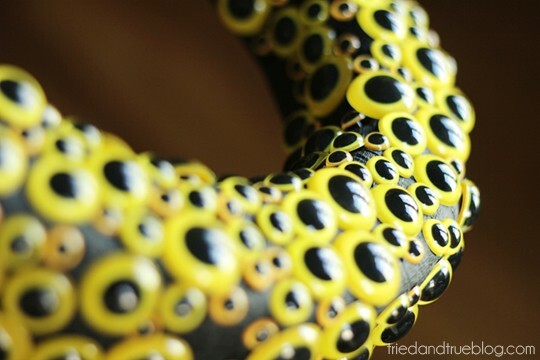 You’ll want to space each size out randomly but evenly, eventually making clumps of eyes. 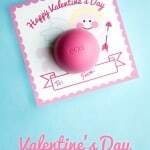 If you’re on a budget or only have a few packages of eyes, you can end here. I really like the way the wreath looks at this stage. Kinda reminds me of boils…in a good way. 4. If you have more supplies available, continue to add eyes until the majority of the black space is filled. Are you starting to get that feeling that someone is watching you?! 5. (Optional) Fold a long piece of the black satin ribbon in half, feed it through the center of the wreath, and pull the ends through so that you can hang your wreath from a hook or metal bar. This is by far the best Halloween wreath I have seen! Awesome job. Probably the most fun Halloween wreath I've seen yet! So cute, girlie! Very cute! How many eyes did you use?